1 .Frequency Range: 136-174, 400-470MHz. 1. Our company was established in 2001, has a good reputation in this field. 2. We are manufacturer specialize in two way radios and accessories. 3. Reply your inquiry in 24 working hours. 4. Well-trained and experienced staff will do their utmost to help you. 5. Customized design is available, OEM&ODM service are welcomed. 6. 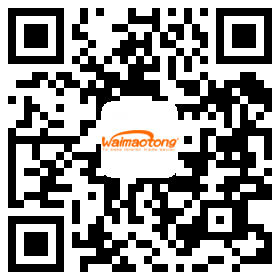 Fast delivery to customers who all over the world after deposit. 7. 100% QC inspection before shipment. 8. One year warranty for radios, six month for accessories. 1.Q: What is MOQ(Minimun order quantity? A: we recommend you order 2pcs for sample test that would be better. 2.Q: Do you accept customized? A: Yes,we can design the packing box and LOGO mark as your request,OEM&ODM is welcomed. A: In general, customers need to pay the sample fee first, but when your order reach required amount, we refund the sample cost for you. 4.Q: When can you ship the items? A: 1-2day for sample,3-30days for bulk order, depends on the quantity. 5.Q: When can I find tracking information on internet? A: Usually,we will give you the tracking number and you can find the information on internet in 2 days. 6.Q: How do you ensure your quality? A: Before delivery, we will check the items' quality strictly one by one,life-warranty for radio host & accessories, but we could not ensure some unpredictable reason occured,please contact us immediately when you get defective,thanks.